There is now an update to this post at: Alteryx: XSLX Wildcard inputs – read both to see how it comes together. Wow, what a conference that was last week! I loved meeting all kinds of amazing customers in the Solutions Center and getting all kinds of product feedback, as well as being able to help people solve their problems. In particular, if you haven’t seen it, check out Adam’s Blog Macro Pack. He took a bunch of macros from this blog as well his and Chris Love’s and packaged them up with a cool installer so they show up in your tool palate. While I know that the input tool will accept a wildcard, it fails if the schemas are different. How do a read a set of files using a wildcard when the schemas don’t exactly match? Categories: Alteryx | Tags: batch macro, Inspire, macro | Permalink. Before I start, let me say that I am looking forward to seeing lots of my readers next week at Inspire. You will most often find me in the Solutions Center. Please don’t hesitate to come ask questions, give suggestions or just chat. I love the opportunity to teach & learn. Categories: Alteryx | Tags: html, Parse, RegEx, Regular Expresions | Permalink. When the Alteryx 9.0 release got near crunch time, I got busy and obviously stopped posting here. Once you get out of the habit, you forget to start back up. Anyway, the time has come to start up again. I hope that I am going to see many of you in just over a week at Inspire. Inspire is many things to different people, but to me it is a chance to connect to our customers. I will be found in the Solutions Center for as much time as I can possible manage. I love talking to customers, helping your with issues, listening to product ideas, and just generally understanding how you work. Please do not hesitate to ask me anything – in the solution center, at meals, or any other time you see me. Inspire really is an amazing opportunity for clients, prospects and us in development to connect. Many times what we learn there talking to people can shape the road map for months or even years to come. So if you are on the fence, it really is worth it, I promise. Again, I hope to see you there. 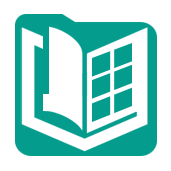 Categories: Alteryx | Tags: 9.0, 9.1 | Permalink.